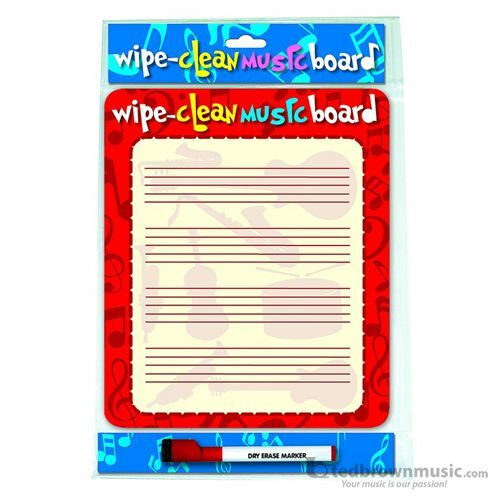 The Wipe Clean Music Board is a handy new tool for young musicians. Students can practice writing melodies, rhythms, notes and clefs, and rub it out if they go wrong! One side has a stave printed on, and the other side is blank. These colourful boards are a fun way to practice notation, whether in a group lesson or in one-to-one tuition. Includes a wipe-clean music pen, with an eraser on the end.